The Bux is The Best.The Bux was the best. Now it is turning in to a scam site! I really like this site, the Admin has been working real hard to make The-Bux a polished and trustworthy PTC Site.This site just goes from strength to strength, it was a nice earner when it was new but 3 months down the line, it’s just had a major renovation. A new script was installed which has catapulted the popularity of The-Bux. 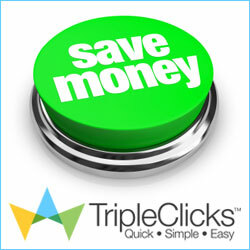 There are a now lots of good paying PTC ads for its members to click on make money. There is also some new features that have been added with the recent renovation, including Paid-to-sign up, click exchange, bux-grid and games. I have been paid out by The-Bux and the pay out was fast with little in the way of fees. This site already has 30,000+ members and has paid out over $15,000 to its members, get in early on this one. You can refer a limited amount of direct referrals based on membership type and you can also rent referrals if you wish. The Bux is well managed so far and thus for we have it on our Under Test List, The Bux is currently one of the most popular in the PTC world. The Bux has issues and as it seams it will take a great deal of effort and luck to resolve them. Read about it’s issues in our article “The Bux | A World of Scam!?“. The site has been added to our suspect sites list. Paying Site – Currently, The Bux is paying its members. You can request a payment upon reaching a minimum balance of $3.00. Payments are processed weekly, every Saturday. Maximum number of referrals – There is a maximum number of referrals that can be obtained per account. This value varies based on your account type and membership activity. The base values can be viewed in the Upgrade section. Worldwide Service – Individuals from all over the world are allowed to join the site and earn. Forum – The Buxt does have a forum. In our opinion, a PTC site should have a forum. The forum is a place where members and staff can communicate with each other. Members can post their success stories or doubts, post payment proofs, share the experience that they had with the site, ask for support and stay informed about the recent changes made to the site. Usually, on the forum you can notice the first signs if something is not as it should be. If members complain about non-payments or payment delays, then most likely the site is experiencing problems. Takes Long Time to Reach Payout – Payments can only be requested once every X days ( depeneds on your account type. For more information visit Upgrade page). New site – We do not recommend buying memberships on new sites (under a year old). Many of them turn into a non-paying sites. We think it is better to wait some time until the site prove that it is stable and sustainable, rather than invest in the early phase and risk to lose your investment if the site stops paying. Be sure to test a new site if you are planing to invest money. Cashout Options and Conditions – All payments are instant or manual ( For more information visit Help page or Cashout page ). However for security reasons, account investigation and possible heavy traffic on the server, we can take up to 48 hours ( if it is instant payment ) after your request to make the deposit in your payment processor of choice. All payments made to our users will be made through payment processors. Members who wish to be paid by The Bux need to have an account with one or more of payment processors ( to check full list of payment processors, visit Help page or Cashout page ). Inactive Accounts Suspension – After 30 days of inactivity, your account will be permanently suspended. 19. May 2014 We have received an email from admin/owner stating that the The-Bux is paying it’s members again. 23. April 2014 The Bux is still online and active but it is turned in to a ghost site. 13. November 2014 The Bux.net didn’t pass the test of time and has been added to Suspect Sites List. 3. December 2013 The site still paying with a daily restriction and not everyone is getting paid who reaches the cashout limit. Till these restrictions are removed and the site gets out of debt the site will remain on the Test List. But if thing don’t start getting better we will have to put this site to Suspect Sites List. 1. November 2013 – NEW CHANGES UPDATE 2 – 6 months since May 1st, when Paypal confirmed our company documents. At that time, they have also put a limit on our account. 30. October 2013 – HEAD AND TAIL GAME – We have again activated the Head and Tail game. You can check it out here and try to win 100% of your investment. So far, The Bux is paying its members without major problems. The site has been online for over a year. Using this site, you should not expect to make a living, but it is possible to make some extra pocket money on the side. Remember to test the site first if you plan on investing. The Bux review showed us thatthe site can be eligible for the Legit list once it turns a year old of service without major issues. But the world of trust has come to an end and the site turned in to a bad site. So, instead promoting and evolving the site has downgraded and became a resident of our suspect sites list. Never the less, the site is still going to be under our observation, for sentimental reasons, to see if the admin is going to fulfill it’s promise. It was told to its members that the new PTC program is being lunched in order to save The Bux. Let’s hope, for their sake, that they will succeed. Hello to all. I want to say that The Bux is paying every day without limits. You can verify the proof of payment. The administrator answers in the forum and the moderators also. I recommend it, it is a good site.